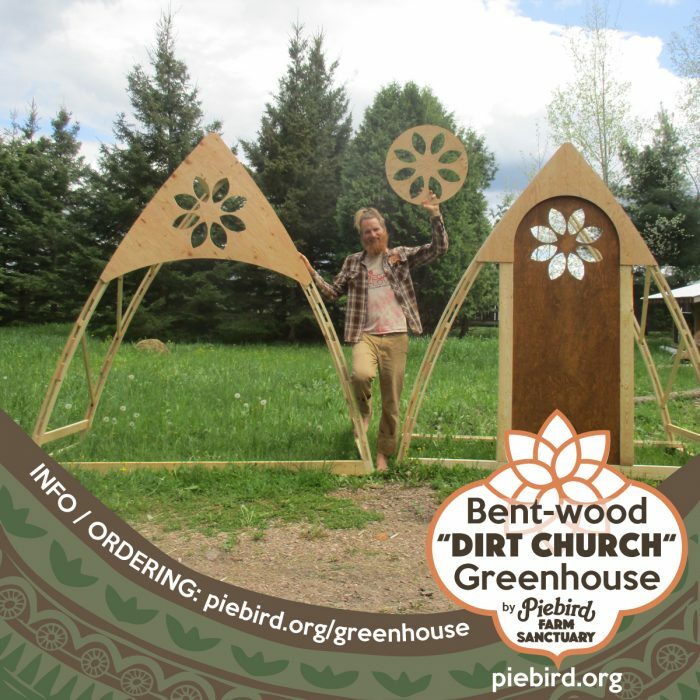 The gothic arch architecture is a funky space for your soil worship. 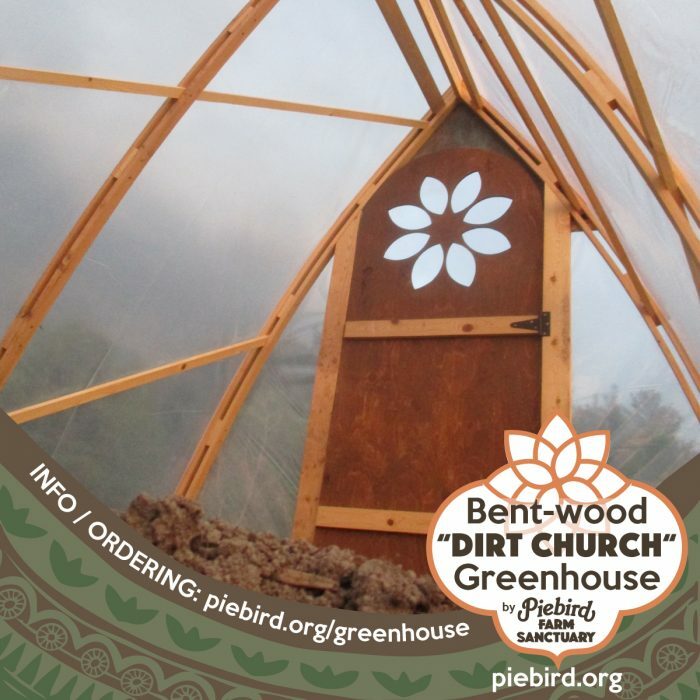 It’s a cathedral for your kale! — The back flower opens to vent. “The Seed” is lightweight but very strong. It comes apart into two stackable sections that easily fits into a 4ft wide truck bed for transport. It takes just minutes for you to assemble. 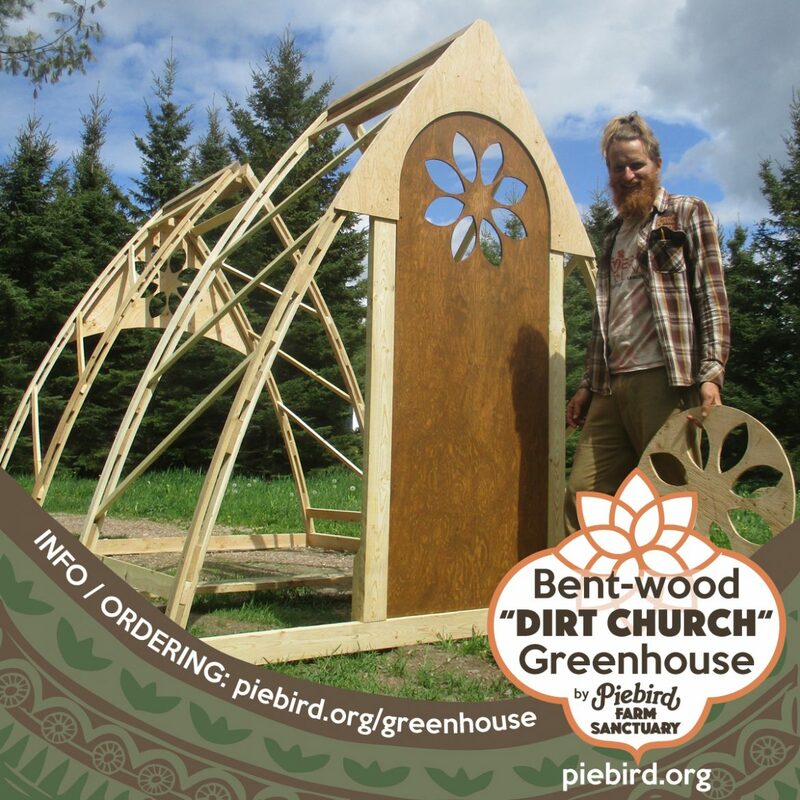 This model, “The Seed” is $850 — To order, send half as a deposit to love@piebird.ca (e-transfer or paypal) and your “Seed” will be ready shortly. 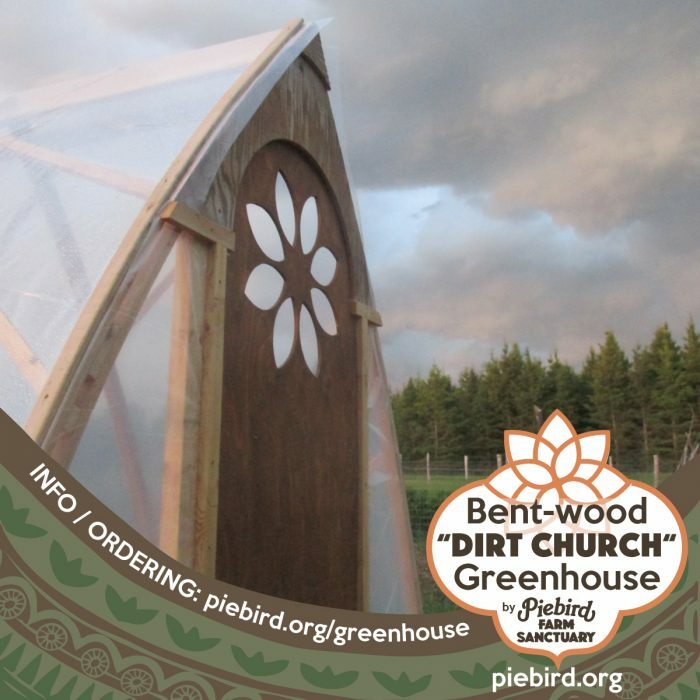 Pick-up at Piebird Farm Sanctuary is preferred (it’s a good reason to visit! ), we’re in Nipissing, Ontario. Delivery available for extra. 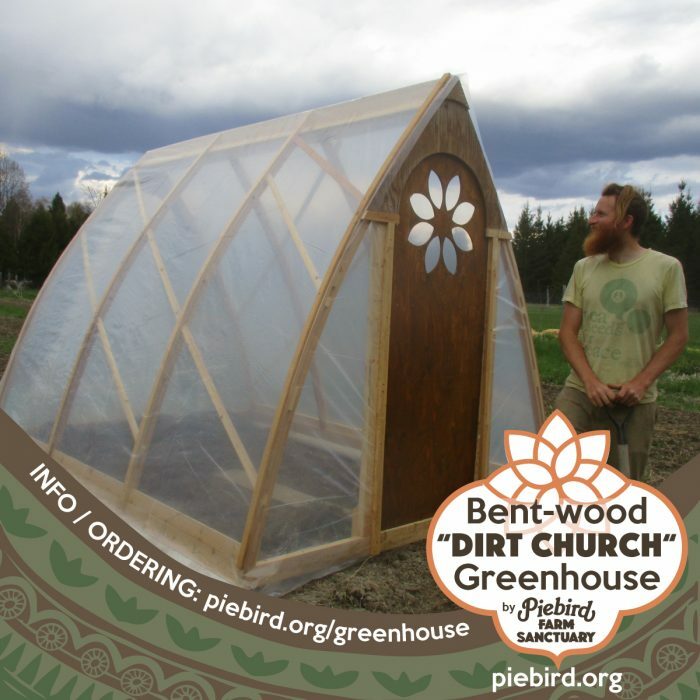 This model includes 6 mil greenhouse covering. If using for a shed, we have an opaque poly option, or canvas covering for a bunkie. Can be made longer by adding more bows. Custom sizes available.